1. 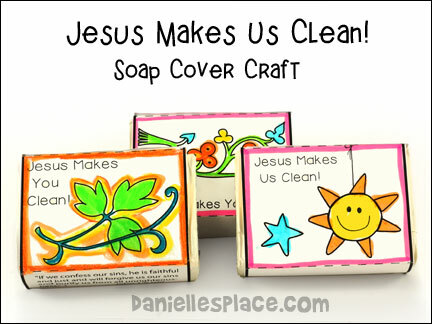 Print out the soap covers and make copies. KJV - Instant Download - Six different designs and two different sizes. NIV - Instant Download - Six different designs and two different sizes. 2. 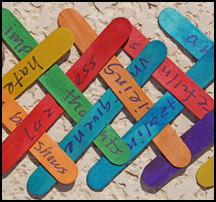 In class have your children color the patterns, cut them out, and glue them around the soap bars. 1. Cut out hearts from poster board. On the shinny side write a memory verse pertaining to forgiveness with a permanent marker. 2. Melt a black crayons (Crayola work the best) in a 200 to 250 degree oven. With an old paint brush, paint the melted crayon over the heart and let dry. 3. Use this craft to explain how sin makes us blemished and impure, but when we ask for forgiveness, God cleanses us or makes us pure again. Next I told them how God will fill you with the Holy Ghost. I took a glass almost full of water and put vinegar in it and dropped a tablespoon of baking soda in it. It boiled out of the glass. I explained that when God fills you with the Holy Ghost you overflow with love, joy, peace. Then I dropped some more soda into the glass and it bubbled over again. I told them every time they tell somebody about Jesus their heart will fill up and bubble over with joy. God Bless you all. Thanks, Jerriath, for sharing with us. You will need bubble blowing soap, a super bubble blower and a small one. Talk to the children that no sin is too small or too large to be forgiven by God. Then take out the little bubble blower and blow bubbles for the children to pop. Discuss things they might think are small sins. For instance, cheating, taking an extra cookie when you were only supposed to take one, not doing what you were told the first time, forgetting to pray, yelling at someone, calling someone a bad name. Next ask children if the big bubbles popped any different than the little one. Explain to them that no sin is too big or too small for God to forgive. God forgives big sins just like he forgives little ones. When we ask for forgiveness, it is like the bubbles. They are gone never to be found again. "When I invite Jesus into my heart he forgives me and gives me a fresh start. His blood covers over all my sins and wrong. His love and forgiveness helps me be strong. And in my heart, he put a new song." It also had a happy face in the very middle of the heart. I laminated all of them and gave one to each child. First check out this Youtube video on how to make a mini cobra weave using craft sticks. Practice putting it together until you have mastered it. In class explain to your children that all sin has consequences. It doesn't matter if it is a little white lie or murder. All sin keeps us from God. 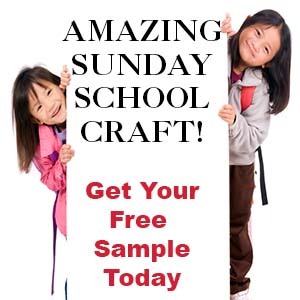 Have your children think of sins that we may commit daily or may make excuses for, such as watching television shows that aren't pleasing to God, swearing, lying, cheating, etc., and then have them write the sins on the craft sticks. Weave all the craft sticks together to make a snake. 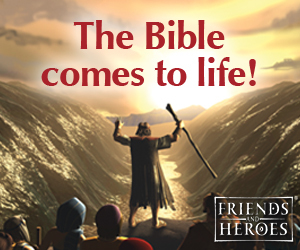 Tell them that sin can be disastrous to our lives. When we commit one sin it makes it easier to comment even more until pretty soon they take over our lives. 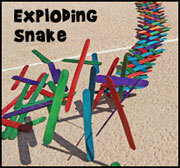 Remove one of the stick so that the "Snake" explodes to emphasize your point.